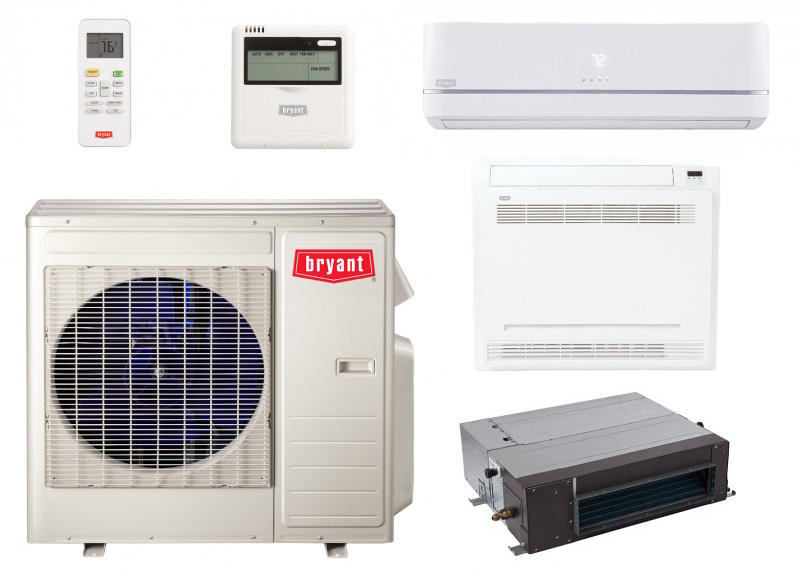 Perfect for a large home without ductwork or a newly converted space, the Bryant Preferred Multi-Zone Ductless System might be right for you. This system delivers deluxe comfort on the hottest summer days to colder, winter nights (down to 4°F). It provides quiet, efficient comfort using up to five indoor units with just one outdoor model. With up to 23.8 SEER cooling efficiency and up to 10 HSPF heating efficiency, you’re buying one of the most energy efficient home comfort systems available on the market today. Start and operate your unit with the on-board controls or the included remote control. Filters are washable and reusable. Sound as low as 27 dB indoors, 60dB outdoor. 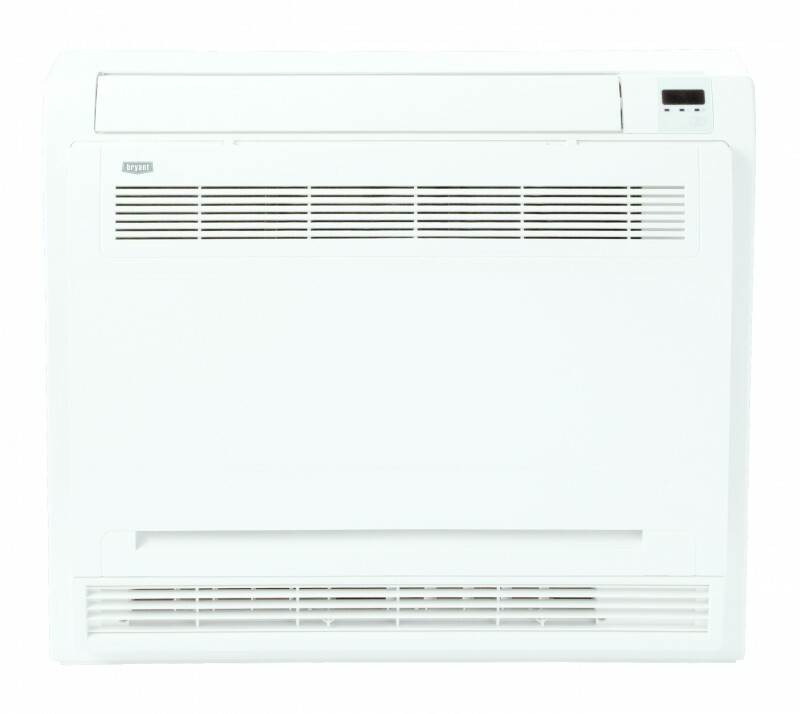 Each unit features up to 4 fan speeds, plus airflow can be fixed or oscillating moving air throughout the room with ease. If the power goes out, the system will auto restart. Whether exterior temperatures drop or soar, your Bryant heat pump is ready to go to work. Cooling range operates anywhere from 4° F up to 122° F, while the heating range operates from 4° F up to 86° F.
10-year parts limited and 10-year compressor limited warranties to the original purchasing owner upon timely registration. How do I know if I need a multi-split or a single heat pump? A multi-split means an additional indoor unit or units that are placed in different rooms to ensure the whole area you wish to heat and cool is covered. One outdoor unit (one unit) can handle many indoor units. That’s why they call it a multi-split, because that outdoor unit can be split into several lines for different indoor units. Typically one single head can work well in a single large room or area up to 800-1000 sq ft., so if you have a large living space and then hallways to bedrooms or a second floor, you may need a second indoor unit for those adjacent areas. Larger single family homes may need up to 4 indoor units for complete heating. The installation is fast, easy and in most cases one day. What applications will work for ductless heat pumps? Homes heated with electric heat – Ductless heat pumps are an excellent replacement for any home heating with electric baseboard, wall or ceiling units, wood stoves and other space heaters, such as propane. Remodels and Room Additions – A ductless heat and cooling system is perfect for home additions, remodeling project and garage conversions. There is no need for duct work and the single zone units are easily installed. A heat pump transfers heat using refrigerant expansion and compression within a cycle. Basically, it takes heat out of the outside air and transfers it indoors to heat. To cool, it takes warm air inside and transfers that heat outdoors. The same system provides both heating and air conditioning. While traditional heat pumps require a backup heating system when its freezing, ductless heat pumps can still create comfortable heat at -4℉. That’s why ductless heat pumps are so popular in cold climates such as northern Europe. You can use 100% ductless heat, or use a ductless heat pump in one area to supplement existing heating or cooling and increase your comfort. Ductless heat pumps are also perfect for older Puget Sound area homes with additions or limited ducting. Why do they call it a ductless system? A ductless split system or ductless heat pump system is “ductless” because it does not use ducts within the house to heat or cool the home. A ducted system has a string of ducts inside the walls bringing forced air throughout your home. The ductless system has indoor registers mounted in main living areas that heat and cool. The reason it’s often called a “split” system is because there are two components: the outdoor heat pump unit and the indoor register. You may qualify for utility savings. Ask your Home Energy Specialist or visit our rebates page for more information.